Spring is here which only means one thing, fresh seasonal sneakers. Nike looks to satisfy people’s needs with new additions to boost their VaporMax lineup. 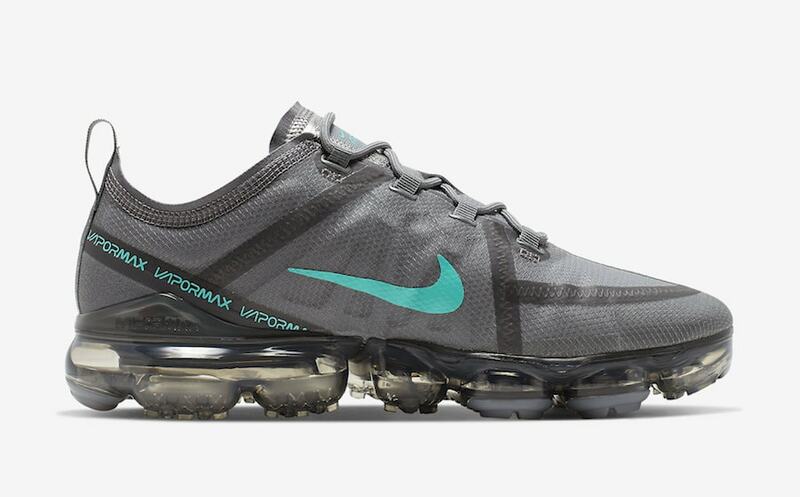 The Nike Vapormax 2019 has been a huge success this year. New colorways are always expected as the model is always in demand. The athletic ability the sneaker contains while looking very fashionable has allowed the shoe to perform very well. As spring approaches a variety of colors are ready to take on the model and the season just like this new edition. Mentioned earlier, spring colors look to hit many shoes this season but as this happens models take on lighter colors that some do not like to wear as they are likely to get dirty faster. 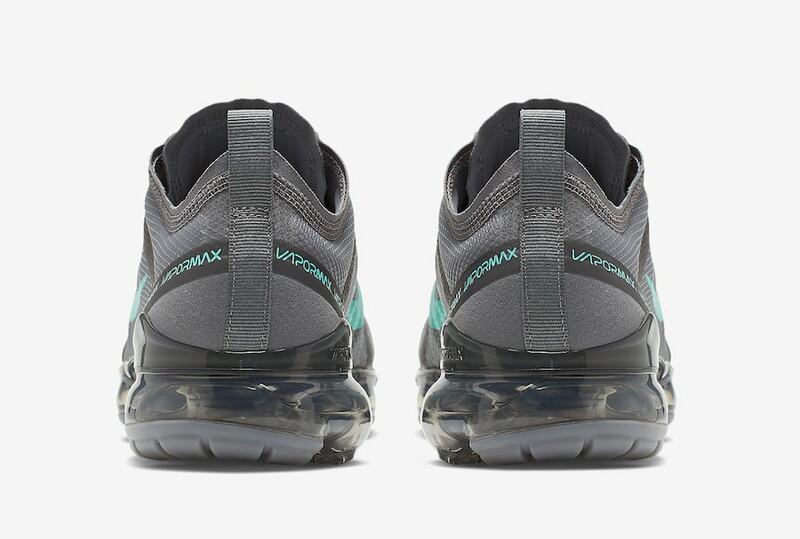 As the VaporMax 2019 is a running shoe, it is prone to get a little dirty deterring some to stick to darker colors. So if you’re one of those people that like to stay away from light colors but also want a sneaker that contains a spring vibe, this is just for you. 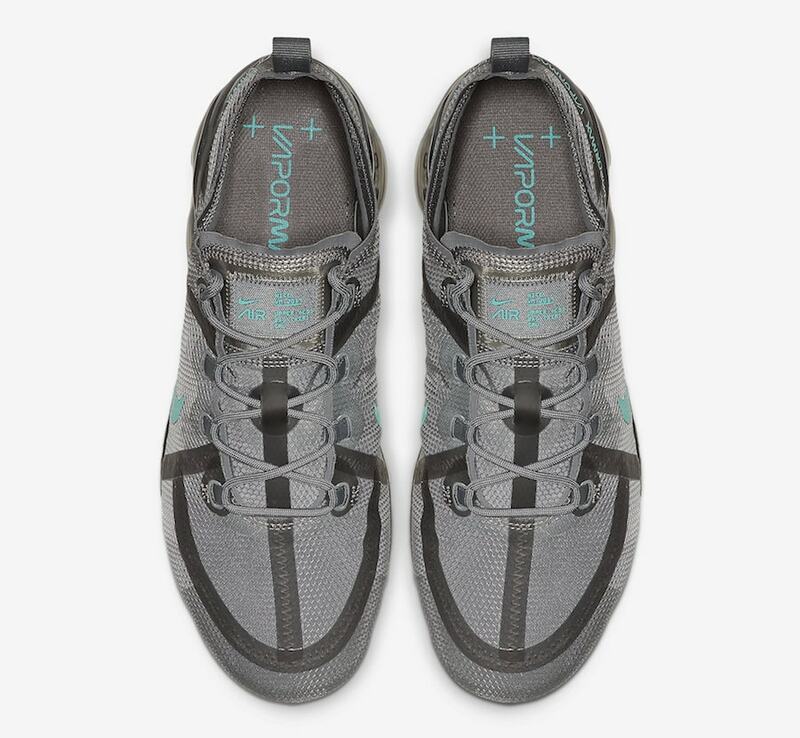 The grey stretch textile and synthetic TPE infused upper allows the shoe to be highlighted with a teal colorway which complements it really well. 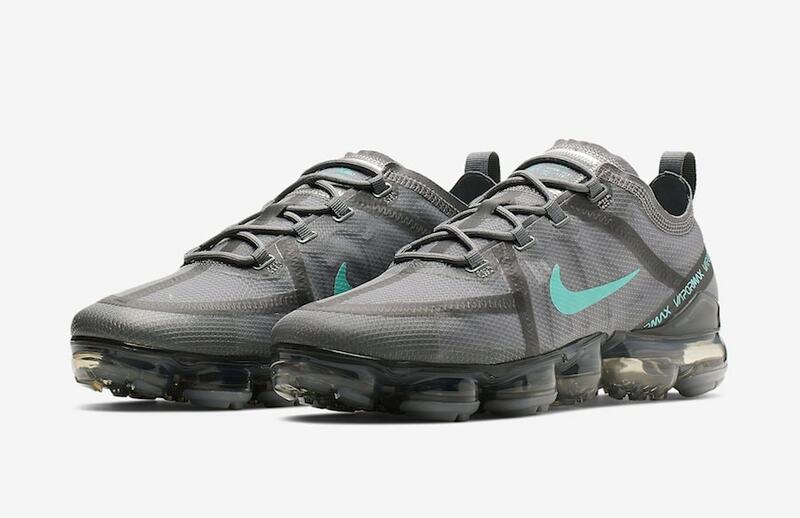 Teal takes over the Nike Swoosh and branding on the tongue as well as the taped heels. 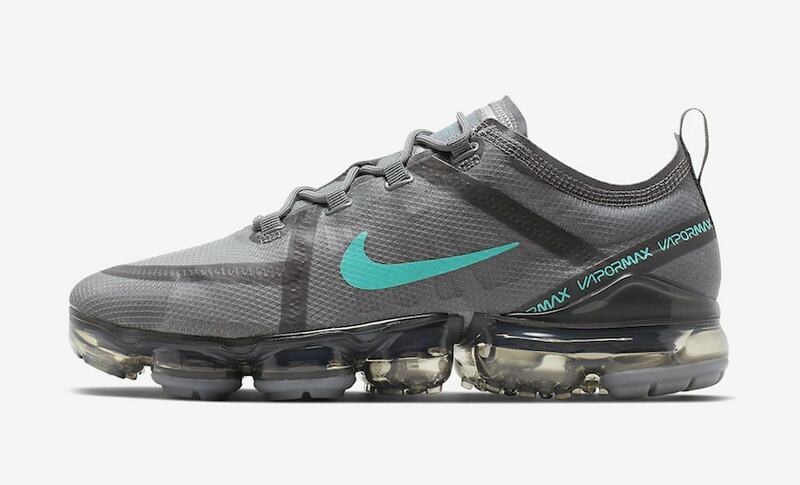 To finish off the look, a clear grey VaporMax sole unit makes up the bottom. As of now, an official release date has not been announced. You can expect the shoe to hit shelves very soon at select retailers and Nike.com for a retail price of $190. 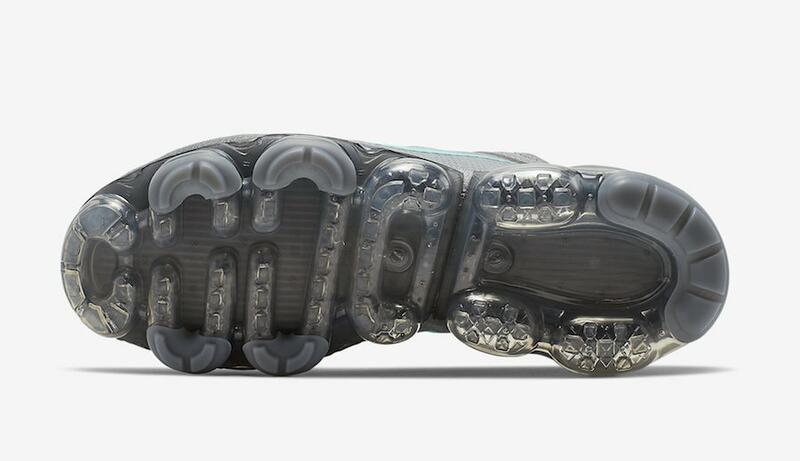 Check out more images below and stay tuned to JustFreshKicks for updates and other Nike VaporMax news.